‘Dunker’ Sowerby, 1866, Conch. Icon. : pl. 46, sp. 248. 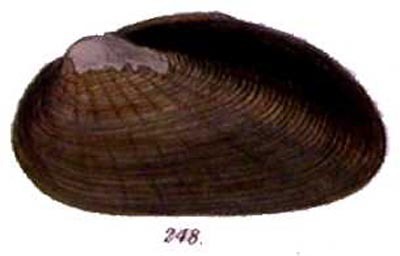 + Nephronaias scamnatus (Morelet, 1849). — Simpson (1900: 595). + Unio (Simonaias) persulcatus Lea, 1859. — Fischer & Crosse (1894: 613).